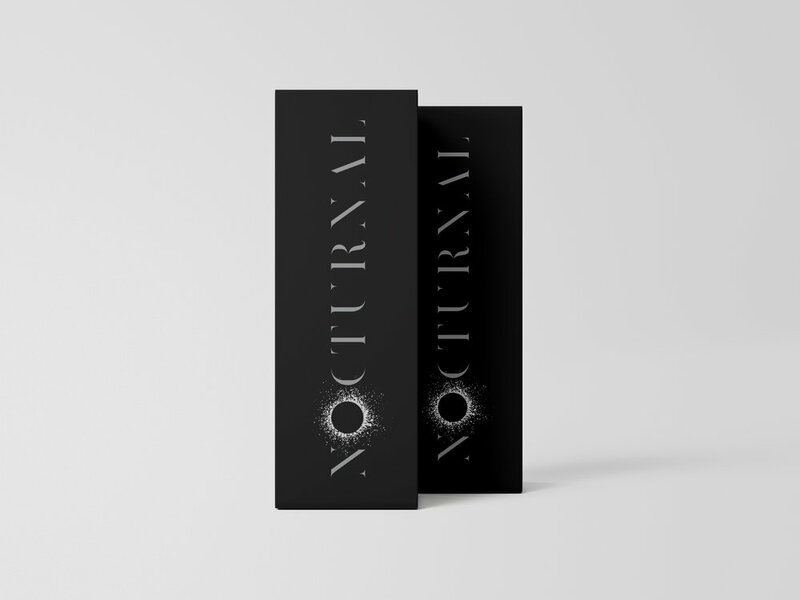 The Nocturnal brand is subtle yet striking, employing a sophisticated and refined serif typeface to create a brand name which successfully represents the client, and the project brief. The selected typeface purposely features deconstructed cut outs which hints at the movement of night and the shapes of the moon. The illustrated O mark which depicts the glow of the moon has an almost grunge persona, pushing the brand aesthetic further, working well as a logomark and throughout supporting collateral. Overall, the branding design is considered, thoughtful and provides a dynamic, contemporary approach for a new concept space in an evolving region of New Zealand.